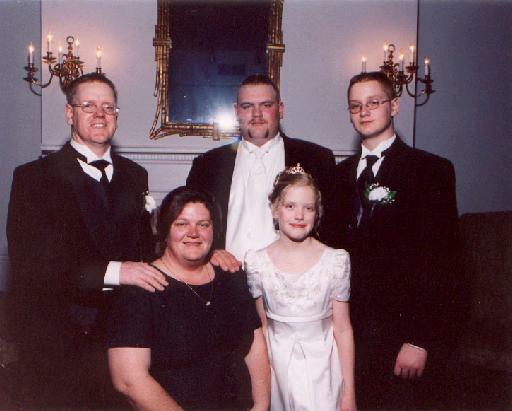 This particular clan of Bacons officially started in April of 1985, when Lee married Maribeth (Marni). Marni brought with her into the family, her 5 year-old son Jacob. In 1987, Billy was born. The family moved from the small mobile home they had been living in to the rancher they still reside in today. In 1990, the family again grew when Carly, who shares her mother's birthday, was born.